Jack "J.L." Warner (August 2, 1892 – September 9, 1978), born John Leonard Warner in London, Ontario, Canada of a Polish–Jewish family, was the president and driving force behind the highly successful development of Warner Brothers Studios in Hollywood, Los Angeles, California. Fascinated with moving pictures early in his life and foresaw their impact on society, Jack Warner spent his life making movies, entertaining the public, but losing the love of his brothers in the process. Warner. Bros. remains a household name, associated with quality and many classic films that now belong to the cultural archives of the world. Warner was one of twelve children born to Benjamin Warner (probably Varna) and Pearl Leah Eichelbaum, a Yiddish-speaking Jewish family from Krasnosielc, Poland. There were three other Warner brothers besides Jack; Harry Warner (1881–1958), Albert Warner (1883–1967), and Sam Warner (1887–1927). In 1883 desiring a better future for his family and himself, Benjamin Warner made his way to Hamburg, Germany, and then took a ship to America. The rest of the family joined him in Baltimore less than a year later. In 1896, the family relocated to Youngstown, Ohio, following the lead of Harry Warner, who established a shoe repair shop in the heart of the emerging industrial town. Jack Warner, who spent much of his youth in Youngstown, indicated in his autobiography that his experiences there shaped his early sensibilities. Warner wrote: "J. Edgar Hoover told me that Youngstown in those days was one of the toughest cities in America, and a gathering place for Sicilian thugs active in the mafia. There was a murder or two almost every Saturday night in our neighborhood, and knives and brass knuckles were standard equipment for the young hotheads on the prowl". In Youngstown, the Warner brothers made their momentous leap into the movie business, albeit in a limited manner. In the early 1900s, Sam Warner took a job as a projectionist at Idora Park, a local amusement park. He quickly persuaded the family of the new medium's possibilities and arranged the purchase of a Model B Kinetoscope from a projectionist who was "down on his luck". The enterprising brothers screened a well-used copy of The Great Train Robbery throughout Ohio and Pennsylvania before seizing the chance to purchase a small theater in 1906. That year, the brothers purchased the Cascade movie palace in New Castle, Pennsylvania, a business they maintained until moving into film distribution in 1907. The Warner brothers established the Pittsburgh–based Duquesne Amusement Company, which proved lucrative until the advent of the Motion Pictures Patent Company, which charged distributors exorbitant fees. In 1910, the Warner brothers pooled their resources and moved into film production. When Warner Brothers was formed in 1918, Jack became co-head of production along with elder brother Sam. Sam died in 1927 (just before the premiere of the first "talking" picture, The Jazz Singer), and Jack became sole head of production. He ran Warners' Burbank, California studio with an iron hand. In 1956, Jack, Harry, and Al announced they were putting Warner Bros. on the market. Jack secretly put together a syndicate that bought control of the company. By the time Harry and Al learned of their brother's dealings, it was too late. The three brothers had gotten into numerous arguments over the previous decades, but this subterfuge was too much even for Harry and Al; they never spoke to Jack again. Jack Warner died of heart disease on September 9, 1978 in Los Angeles. Comedian Jack Benny, who once worked at Warner Brothers, quipped, "Jack Warner would rather tell a bad joke than make a good movie." 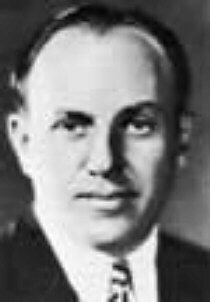 Jack was the second chief to also serve as company president, after Columbia Pictures' Harry Cohn, but could not keep up with changes in the industry. He sold the studio to Seven Arts Productions in 1967, after producing the film adaptation of Lerner and Loewe's Camelot, but remained active as an independent producer until the early 1970s. Among his last productions was another film adaptation of a Broadway musical, 1776. For his contribution to the motion picture industry, Jack Warner has a star on the Hollywood Walk of Fame at 6541 Hollywood Blvd. He also has a star on Canada's Walk of Fame in Toronto, which honors outstanding Canadians from all fields. This page was last modified on 12 March 2018, at 19:21.